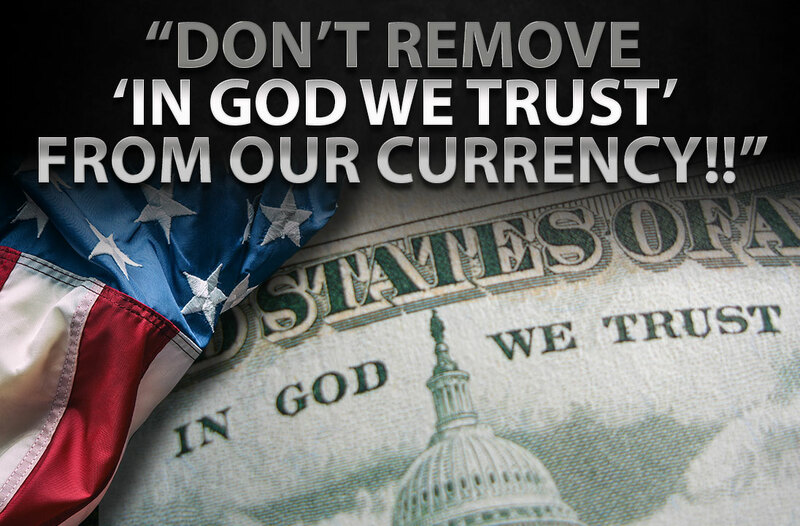 Reject Atheist Attempt to Remove GOD from U.S. Currency. God is key to American life. We trust in God and aren’t ashamed to show it. Please add your name to the petition to keep “In God We Trust” on all U.S. coins and notes.